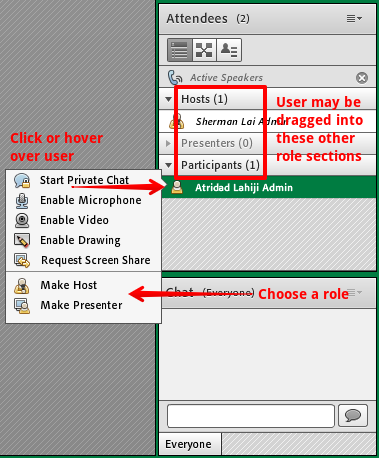 Once users have accessed an eClassLive session, anyone with the host role has a wide range of flexibility to customize the permissions of the other users in the meeting. 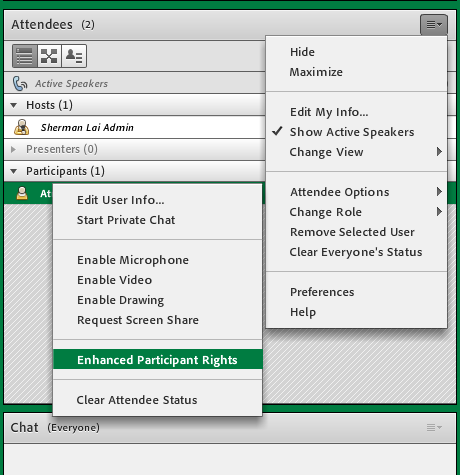 The options range from changing user's roles in the entire meeting, just for specific pods, or just on the various tools in the room (microphone, webcam, etc.). 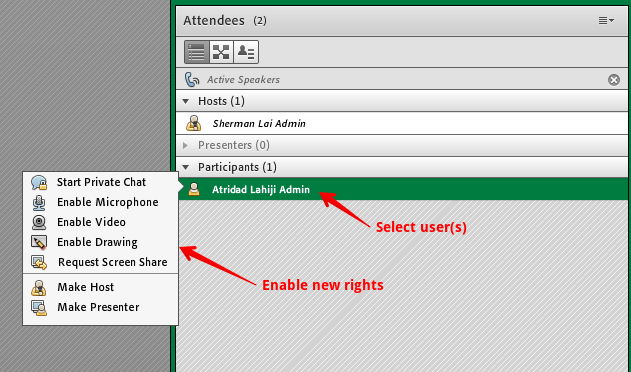 Find the user's name in the Attendees pod and then click to select it. You can also click their name, hold, and drag them up into the new role required. 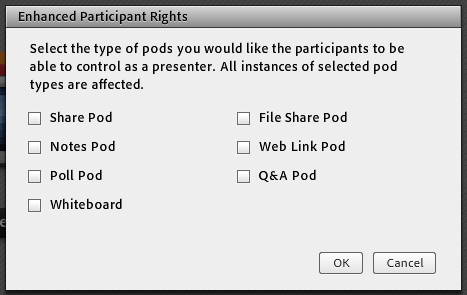 In the upper-right corner of the pod, click the options icon. Select users (or multiple users with shift-cmd or shift-ctrl).